"Tell me, Muse, of the man of many ways, who was driven far journeys, after he had sacked Troy's sacred citadel." From a violent assault on the land of the Cicones, to narrowly escaping a drugged existence in the land of the Lotus-Eaters, Odysseus endangers his men by deciding to stay in the land of the Cyclops in hopes of gaining host-gifts, and they must set to perilous flight. Poseidon, angered at the maiming of his Cyclops son, Polyphemus, plots their suffering and Odysseus and his men must endure captivity by Circe, an island goddess; a trip to the land of the Dead; a narrow escape from the Sirens, Scylla and Charybdis; and further imprisonment by the nymph, Calypso, lasting seven years, before he is released and lands on the island of the Phaiakians. Yet, mainly because of the rage of Poseidon, but due also to Odysseus' and his men's misguided judgement, his whole crew is killed on the way home and he is left to continue the final part of his journey alone. Fame and glory, or in Greek, kleos, are the most important values in this society. It appears that the suitors can disrespect and commandeer Odysseus' household, only because there is no story attached to his fate. 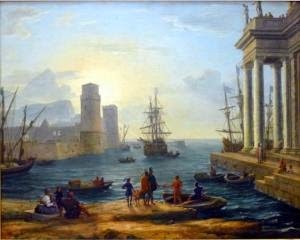 If he had died fighting in Troy, and therefore receiving a generous helping of fame and glory, this inheritance would have passed down to Telemachus, which would have engendered a reverence and respect among the people. It might not have prevented a few of the more aggressive suitors attempting to utilize their power, but Telemachos certainly would have received more support and sympathy from other Ithakan families. Gifts and spoils are another aspect of fame and glory. The more one acquires, the more renown is added to their reputations. This perhaps explains why Odysseus pours on the charm with the Phaiakians, who bestow on him more gifts than he could have won at Troy, then taxi him to Ithaka, unaware that they have angered Poseidon, who turns their ship to stone in the harbour on their journey back. The guest-host relationship, or in Greek, xenia, is another aspect of Greek culture unfamiliar to modern readers. If a guest visits your house, you are required by the tenets of hospitality to give him food and shelter. These acts are even more important than discovering his name and peoples, as we often see this information offered after the initial formalities are served. The concept of xenia is emphasized because one never knows if one is hosting a man or a god. As a modern reader, it was amusing to see poor Telemachos attempt to extricate himself from Menelaos' hospitality and avoid Nestor's, in an effort to avoid wasting time in the search for his father. I'm certain amusement wasn't Homer's intention but it wasn't surprising as to the emphasis placed on this tradition. Any deviation from this custom could result in dishonour and a possible feud with your potential host or guest. A note on translations: if you plan to read only one translation of The Odyssey, I would highly recommend Richard Lattimore's translation, as it is supposed to be closest to the original Greek, while also conveying well the substance of the story. Fitzgerald is adequate but likes to embellish, and the Fagles translation …….. well, as one learned reviewer put it, "they are so colloquial, so far from Homeric that they feel more like modern adaptations than translations." I would have to agree. I'm finding the Fagles translation easier - I remember what you said (I *think* it was you) about it being a bit "high school", but it works for me for that very reason! I'm thinking of re-starting it and getting a bit more involved with it as you did. I've not even come vaguely close to getting a grip on it so far! I know how dedicated you are to re-reading different works of literature, so, if you need Fagles to understand the gist of the story initially, certainly go with Fagles. Ditto. You are doing an amazing job. Homer intimidates me. And we have all of the children's versions you listed, which we love. They are perfect for getting acquainted with Homer. In fact, we are starting a new Ancients-Classical year this fall. Another excuse to read them all over again. Thanks, Ruth! I did have a companion book and a Goodreads group for support when I read The Iliad but I kind of just stumbled through the Odyssey. I'm so happy I chose to read it again. Hey, we are starting the Ancients too this fall. I already have a large reading list for my daughter. She's read some of the Greek plays ….. Sophocles and Euripides ….. but I'm looking forward to introducing her to Homer. Maybe this fall I'll be reading them along with her. My daughter is 15 now and will still be that age when fall rolls around. She has her own classics list and this year has read Frankenstein, A Tale of Two Cities, Robinson Crusoe and is presently reading Vanity Fair. She shouldn't have a problem with The Iliad ……. she uses the Classical Writing curriculum and their literature component challenges the students with the books chosen, and the examples they use for teaching writing are often from ancient texts, so she's pretty familiar with the language. I've scheduled her to read The Iliad and The Odyssey but left out the Aeneid. I read through all three in a row and found it really burnt me out. But it's certainly doable. I'm going to play it by ear and see how it goes. That's what I am afraid of - getting burnt out. But I want her to enjoy the stories more than anything, and she is already familiar with them and the characters. So I think I am going to stick with the best versions for simple, plain English. It would really help if you read them first (you didn't want to hear that, did you? ;-) ) You could then explain any parts that may be unclear to her. I feel MUCH more equipped having read them to be able to teach them. I really like the re-tellings and certain simplified versions for younger children. They are so helpful for cementing the basic story. 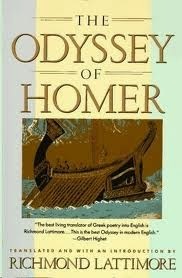 However, I tend to shy away from these versions when they are older because they are at an age when they should, with a little work, be able to understand "the original", and by reading the simplified versions you are not really reading Homer. Homer is verse, which is a large part of its beauty and grandeur. For example, pretend someone re-wrote a Wordsworth poem in rap. Of course, it would be understandable to a rapper and he might get some of the meaning, but it wouldn't really be reading Wordsworth, KWIM? And certain simplified versions tend to get away from what Homer actually wrote. For example, Butler appears to have tried to improve on Homer (he doesn't), so you are not getting Homer, but Homer and Butler (I may even say Butler and Homer). :-Z Even Fitzgerald embellishes but not enough to detract from the original. I actually quite like him but I know some purists don't. Don't let the verse intimidate you, honestly it is very similar to reading prose. One of my Odyssey reading buddies was completely intimidated by Lattimore, but once she read him, she found he wasn't nearly as difficult as first anticipated. You also may be able to get the Great Courses lectures (Iliad, Odyssey & Aeneid) at your library, if you don't want to purchase them. Elizabeth van Diver, the lecturer, is excellent and they are very helpful. Well, I have to read Homer for TWEM poetry, which is years from now, and I guess it would not hurt to do it now if it will help my daughter. And I believe Bauer suggests prose (Fitzgerald, Fagles, Lattimore) anyway. I still have a lot of planning and research to do for the school year, so I have not made up my mind what to do. Thanks for the suggestions. It's hard to know which path to take sometimes. You just have to start and then the clues from your children decide which way you go. All the best with your planning!